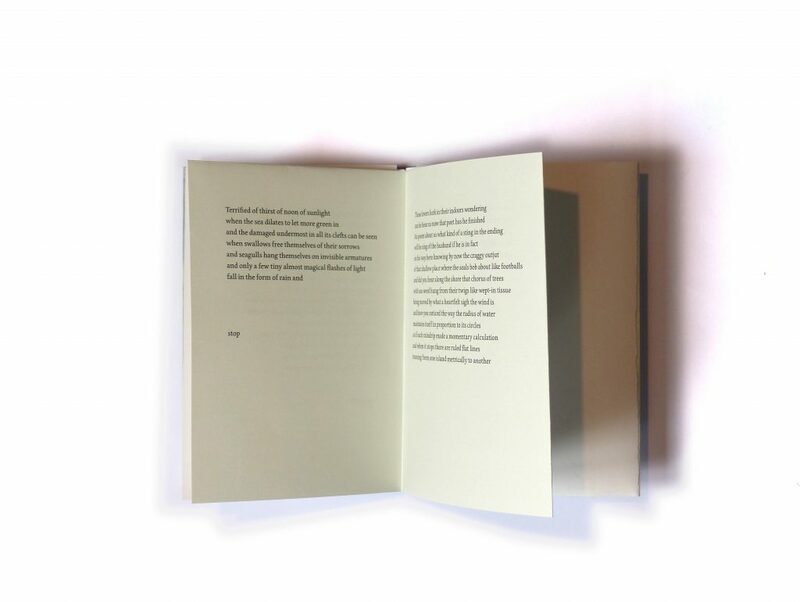 This reversible arrangement of two extracts from NOBODY by Alice Oswald advertises the longer poem published in spring 2018 by 21 Editions. 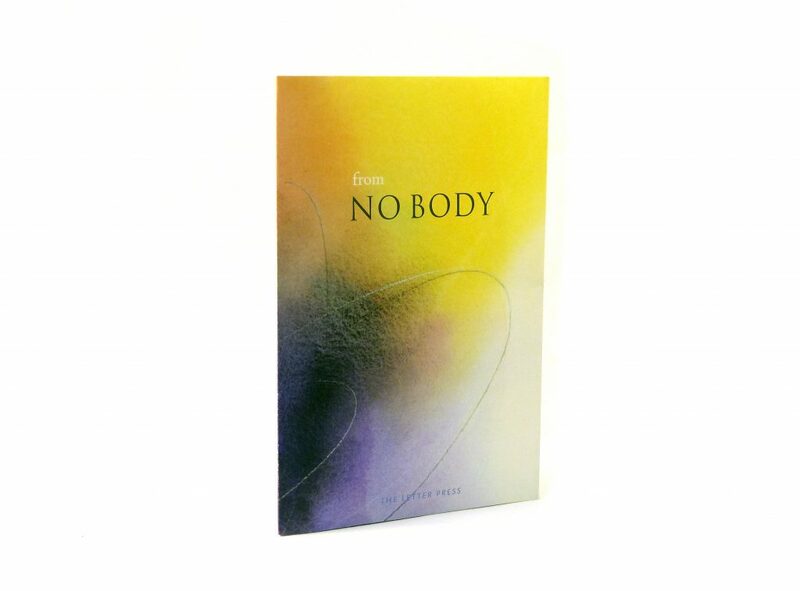 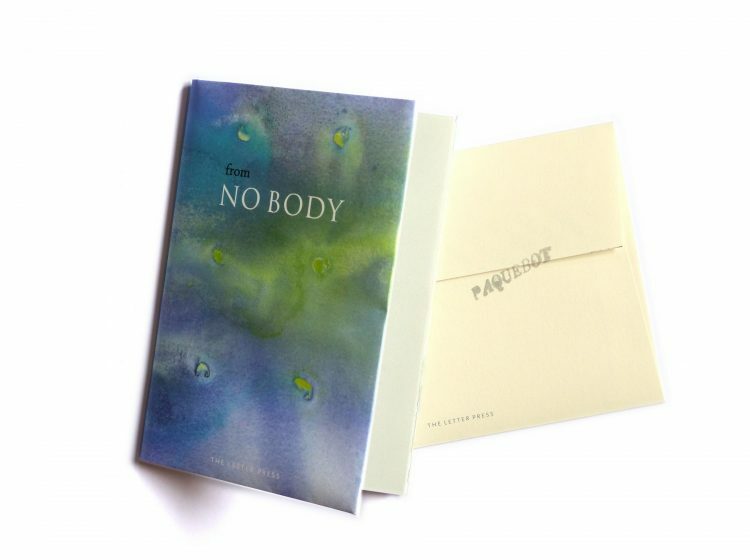 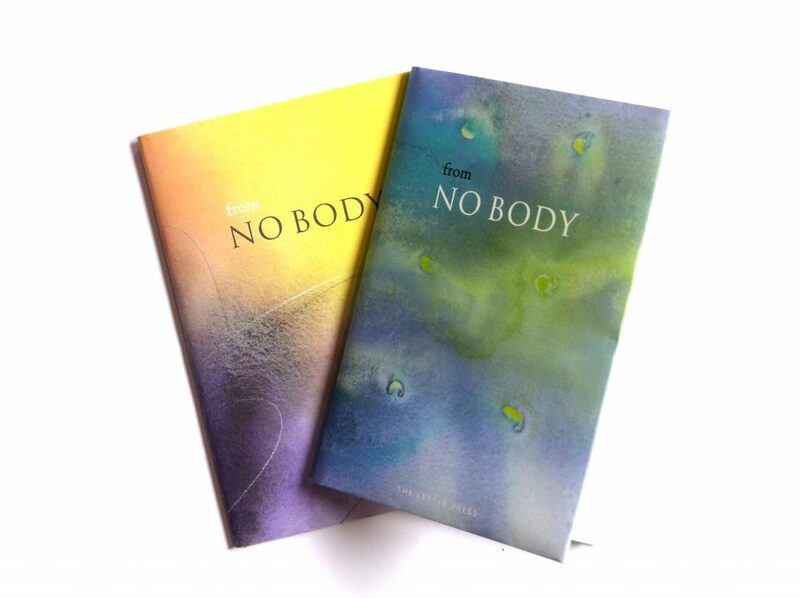 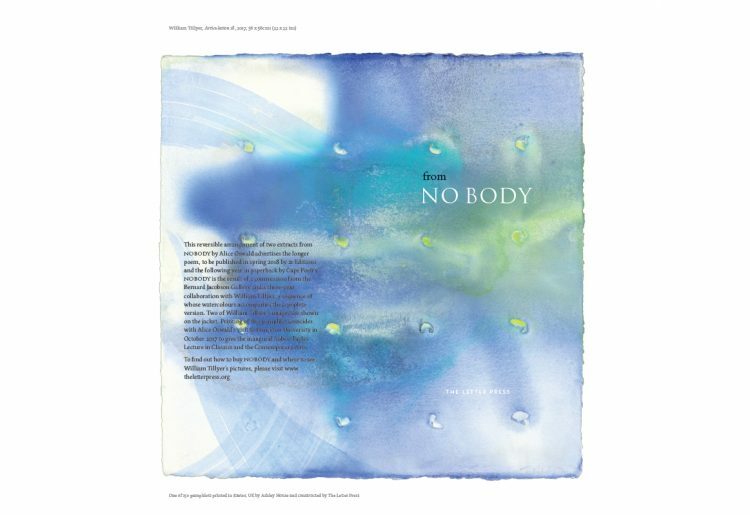 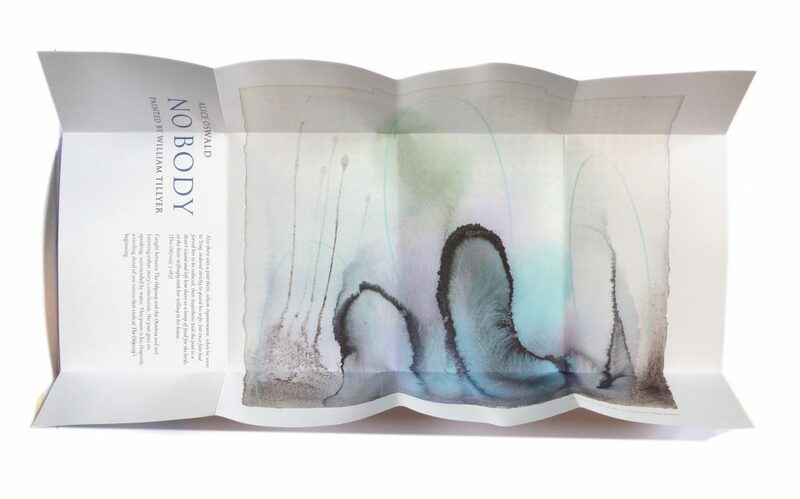 NOBODY is the result of a commission from the Bernard Jacobson Gallery and a three-year collaboration with William Tillyer, a sequence of whose watercolours accompanies the complete version. 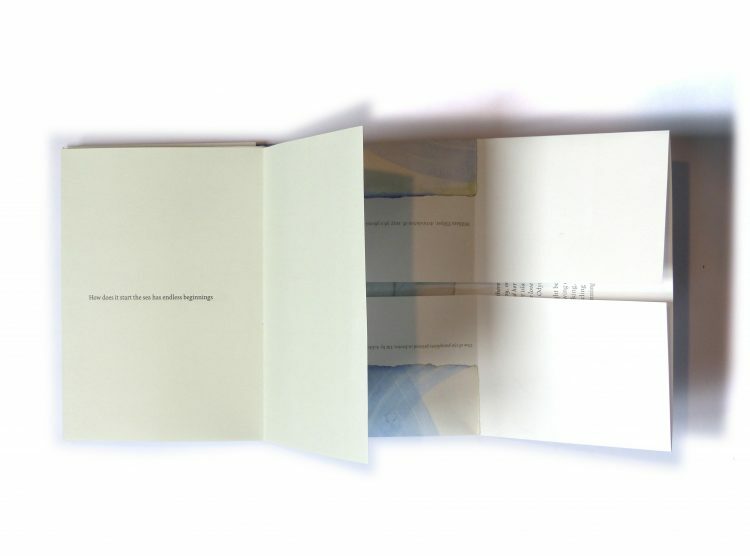 Two of William Tillyer’s images are shown on each of two jackets. 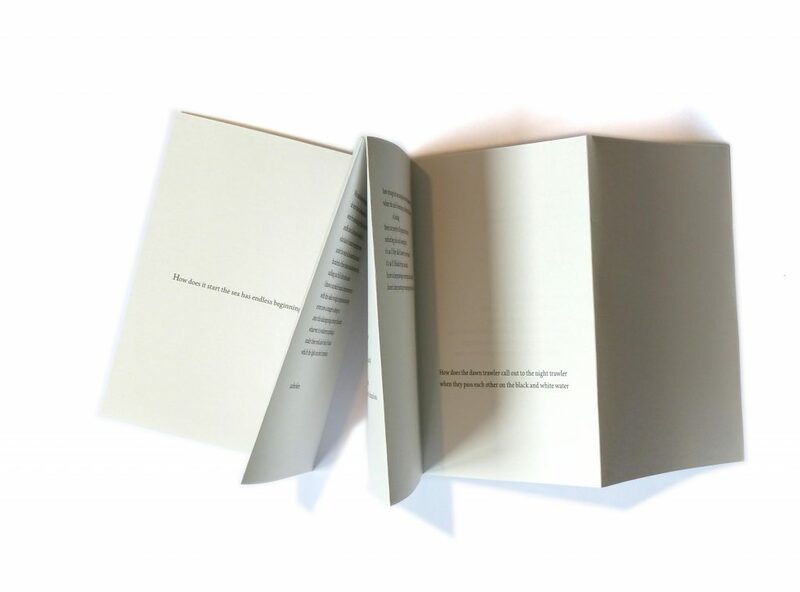 Printing of the pamphlets coincided with Alice Oswald’s visit to Princeton University in October 2017 to give the inaugural Robert Fagles Lecture in Classics and the Contemporary Arts. The first edition is offered in two versions in editions of 75. They comprise an eight page, A6 text section folded as a ‘meandering concertina’ inside a four page jacket that opens to reveal two William Tillyer watercolours, one reproduced 28cms square. 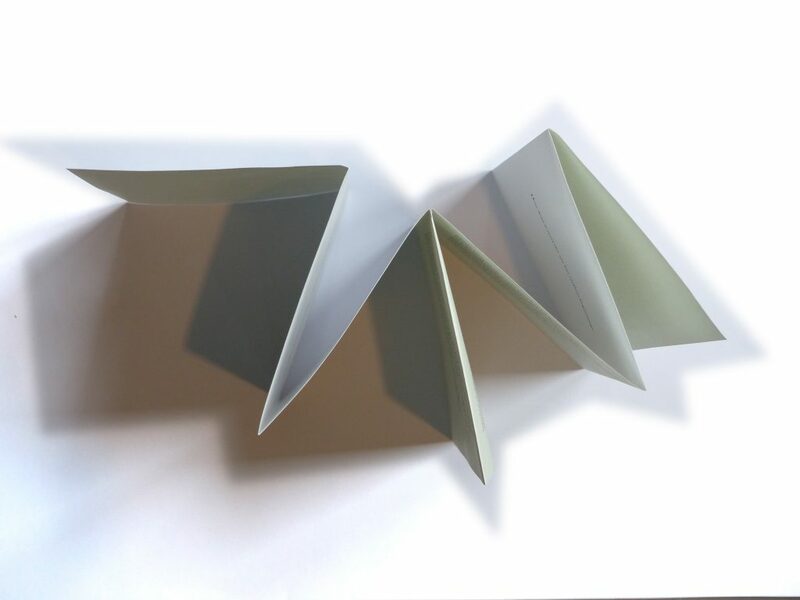 They are sold with a ‘franked’ A6+ envelope.